I have a 1000-piece jigsaw puzzle of a Giant Panda that myself and Mum been trying to put together for over a year now (possibly closer to two years). We started off going really well, but then got stuck on some of the large areas of black fur and brown tree trunk. The semi-completed puzzle spent six months under a bed gathering dust, but is now back on the dining table and I'm vowing not to move it until it's finished and framed (I'm certainly not pulling it all apart again!). I was just sitting there this afternoon grabbing random black pieces and trying to fit them into every available spot (I lost the ability to distinguish between the different shades of black fur a while ago). Often, I'd find that a piece would fit into a particular spot (albeit with a bit of force) but that the colour of it didn't quite match the colours of the pieces around it when I looked closely, or that it's edges didn't quite line up with others. I'd be tempted to just leave it there, because it was then one less piece to worry about, but I made sure I took it out and kept going. It was therefore a relief to find the spot where that piece slotted in nicely and matched the other pieces perfectly. I believe God used that to give me a picture of when we do that to ourselves or others. Whether it be in Church, at work, or just in life in general, we often try to place ourselves, or others around us, into situations where we do seem to fit, but not quite perfectly. At Church, for example, we see the need for a position to be filled and, since no one else is offering to fill it, we jump in, even if it's not what we're particularly gifted or interested in. The same can happen in our work lives or just in general. Better to have the position filled with someone that can do it well enough than to leave it empty just because 'the right person' isn't available, right? Even though we seem to fit into that position or situation, we don't quite match up with others in that same area, or we need a bit of forcing to fit in (often from others) and even then not comfortably. 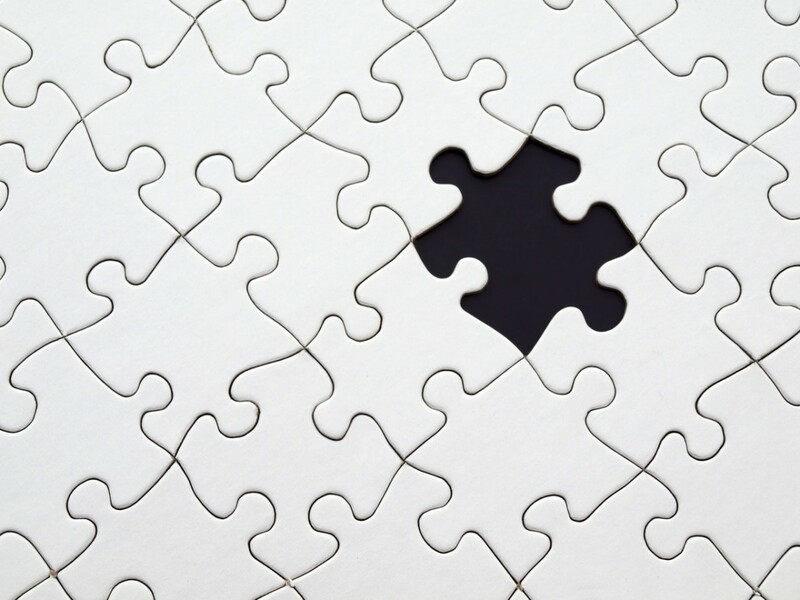 As I discovered in the jigsaw puzzle, when a piece is placed into the wrong spot, the spot where it was actually meant to go is left empty and the puzzle can never be completed. I suppose the message here is to make sure that we're not trying to fit ourselves, or others, into positions or situations that God didn't intend us for. Sure, there are times when we need to help out in areas that aren't necessarily our gifting or expertise, but I'm specifically talking about God's overall purpose and plan for our lives. So how do you know when you're in the right spot? Just like in the puzzle, when a piece is placed into it's correct spot: it slides in nicely without force, it matches perfectly with the pieces around it, and it helps form a beautiful picture larger than itself alone.